Heirloom Vegetables are old varieties of food plants that have evolved and survived through careful seed saving, often passed down through generations of farmers and gardeners. Modern hybrid plants were developed to meet the needs of industrial agriculture, such as uniform size, attractive appearance, and keeping well over long distance transportation. In contrast, Heirloom Vegetables were bred to grow well in local climates, and valued for their flavour and use in the kitchen. As a result, Heirloom Vegetables often don’t look like supermarket vegetables, or last as long in the fridge. But their amazing flavours and unique colours and shapes make them truly special. Our journey with Heirloom Vegetables started in 2009 after a particularly inspiring visit to a Garden Nursery whilst traveling through the UK. On our return we uprooted our backyard garden in town (Trees, Shrubs, Grass and All) and started with a small 50sqm formal style Vegetable Garden. This has subsequently expanded in size and scope to what it has become today. We have used Heirloom Varieties and Organic Principles right from the start. We made so many mistakes along the way, at times resulting in dismal crop failures or pest outbreaks of biblical proportions, but we persisted. With time we got better and it has helped us to build up a basic knowledge of what works where and when, which we now tap into whenever we try and scale up or expand our operation. Just for the record Cutworms, our long time nemesis, are still winning more than they lose. When we moved to Allendale Farm we started by creating a bigger and more elaborate version of our town vegetable garden. But these days we focus exclusively on herbs in the area around the house. Growing Soft Culinary Herbs in Raised Beds and Perennial Herbs in a Formal Herb Garden, with Edible Flowers fitted in wherever a spot can be found. We also have a small growing tunnel adjacent to the house for Seedling Propagation and the overwintering of Soft Herbs and Out of Season Vegetables. 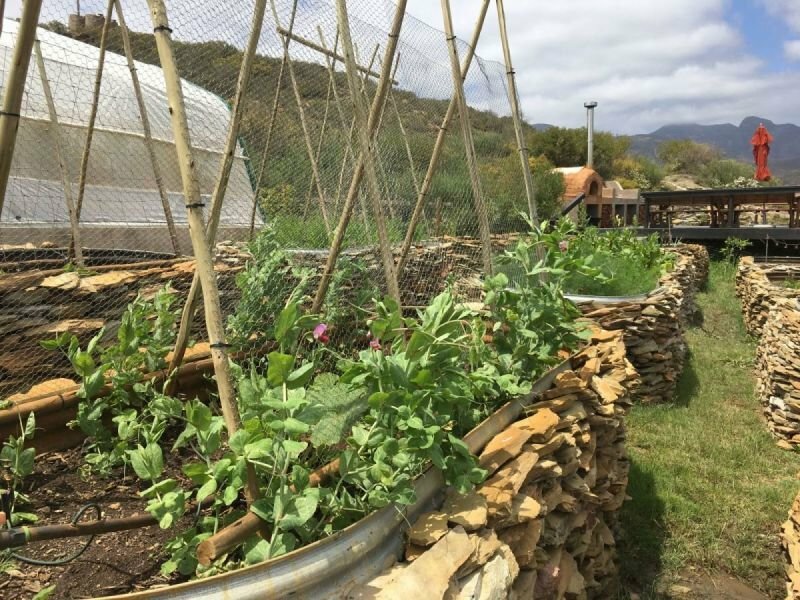 Availability and Selection is dependent on the Growing Season and Storage Ability of the different Vegetable Varietals that we plant in a particular year. As a rough guide to what is available when, use the below.